Explore Peru with us on one of our newest itineraries! Starting with your exploration of the Inca ruins that have withstood the test of time, then moving on to explore the Sacred Valley on a mountain bike. You then hit the trail and enjoy trekking the Andes without the crowds, so much so that you will be happy that you have your guide to show you the way. Lastly, you will have one day on the Inca Trail that brings you to Machu Picchu through the Sun Gate. While you get acclimatized to the altitude, we tour around the ruins that are around Cusco with your knowledgeable guide. This is a vibrant city that mixes the cultures of the Incas, Spaniards and modern Peru to combine in an experience that is truly uniquely Cusco. From Cusco we travel to the Sacred Valley where we will explore the bread basket of Peru on mountain bikes! Customized for all levels of biking, this is one of the best ways to enjoy the Sacred Valley on a high plateau with amazing vistas of the Andes and the Urubamba River rushing below. Ancascocha is one of the most rewarding routes of the Peruvian Andes. A continuous ascent takes us to the breathtaking foothills of the snowy peaks of the Andes Mountains, through Queuñas forests, remnants of ancient Inca trails, the beautiful lagoon Ancascocha among other stunning natural sceneries. Then the descend, leaving the arid highlands, to penetrate in a fertile valley covered with Andean flora, hummingbird, confluences of rivers and the spectacular view of Mount Veronica. This trek has been combined with one day on the Inca Trail that allows you to marvel at their masonry and enter Machu Picchu through the Sun Gate in the afternoon. This is the time of day when most people have made their way down to Aguas Calientes, so you have time to enjoy the splendor of Machu Picchu almost to yourself! The following day we will take a bus to thoroughly explore the ruins with your local guide, who by now has most likely become a good friend after all the adventures shared! Day 1 Arrive and overnight in Cusco. We will gather in the evening for a trip briefing. Day 2 Half-day tour of the Inca ruins around Cusco including: Sacsayhuaman, Qenco, Puca Pucara & Tambomachay ruins. Day 3 Transfer to the Sacred Valley. Incredible cross-country mountain bike ride from Moray to Maras. Explore archaeological sites and visit traditional Peruvian villages along the way. Day 4 Begin hiking the Ancascocha Trail! Approximately five hours of hiking through lush valleys with views of scenic rivers before arriving at our camp at Ancascocha in the arid highlands. Day 5 Hike through the highlands to Lake Ancascocha for lunch. The afternoon will include hiking to Inca Rakay, and Inca site. Approximately 3 hours of hiking. Day 6 Today we descend from the highlands to greener vegetation with views along the way of the Inca Trail to Machu Picchu. Camp will be at the newly restored ruins of Paucarcancha. Approximately 6 hours of hiking. Day 7 Today will bring us on the Inca Trail, past the Inca site of Llactapata and down to Km 82. Tonight you will enjoy a shower and bed before hiking to Machu Picchu tomorrow! Day 8 After being dropped off at Km 104, we pass the ruins of Chachabamba before ascending to the incredible ruins of Winay Wayna. We reach the Sun Gate of Machu Picchu in the golden afternoon light and enjoy a brief initial visit to the ruins. Overnight in the small town of Aguas Calientes. Day 9 In the morning, we return to Machu Picchu where we spend most of the day with our knowledgeable guide. In the late afternoon, we climb aboard a first-class train for a ride back to Cusco. Day 10 Transfer to airport for flight back home. If the Incas were the Romans of pre-Columbian America, Cusco was their Rome. The Incas built a vast empire that stretched from modern Ecuador and Colombia to southern Chile. The empire, much larger in size than any previous new-world empire, was called Tawantinsuyo (the “Four Quarters of the Earth”). Cusco was the heart of the empire, and its exact center was considered to be the main square of the city. Today, Cusco is still laid out much as it was in Inca times. Seen from above, it takes the form of a puma, with the river Tullumayo forming its spine, the ruins of Sacsayhuaman the head, and the main city center the body. The center, or torso, was a tongue of land bordered on the east side by the Tullumayo and on the west by the Huatanay. These two rivers now run under concrete. Cusco was more than just a capital city to the Incas and the millions of subjects in their realm. Cusco was a holy city, a place of pilgrimage that was incredibly important to the Incas. Cusco is a thriving marketplace where goods and services of all kinds tempt the eye and the pocketbook. The city has an impact on all the senses: sounds greet the ears and the aromas of spicy local kitchens tantalize the nose. The colorful locals draw our attention as they display their wares and remain in their native Quechua dress. Merchants smile and make a sale with characteristic cheerfulness. A good place to take it all in is the central “Plaza De Armas”, where on the second floor balconied terraces of the many restaurants, you can enjoy a beer or a cup of tea and see the action from above. After a sumptuous breakfast at the hotel we will pick you up and transfer to the south of Cusco. Our goal is to visit archeological sites surrounding Cusco, namely Sacsayhuaman & Qenco. Along the way we take in the Peruvian countryside, enjoy spectacular views of the high Andean snow capped peaks, and get a true sense of how people are living in the villages around Cusco. We will spend plenty of time on foot exploring the Inca ruins with our knowledgeable guide. From there, we begin a short and easy walk following an old, but well preserved Inca Trail. Gradually we descend from the rural to the urban, passing by the Temple of the Moon to finally reach the main square of Cusco. Today our adventure begins at Huaypo, one hour away from Cusco. Huaypo is a beautiful lagoon perched on the heights of the Andes. Its waters provide communities and cultivated fields around the area; and reflect the hills and mountains surrounding it. For about an hour and a half, we paddle around the lagoon in sea kayaks, a ride that allows us to appreciate the nature around in all its dimensions. On the banks of Huaypo, our chef will be waiting with a delicious outdoor picnic! In the afternoon we are going to visit the Moray Circular ruins, an ancient agriculture experimental center and the salt mines of Pichingoto. These are not actually mines, but a rather amazing conglomerate of over 3000 evaporation troughs carved into the hillside where the salt-laden silt gathers and becomes gradually distilled into rock salt. This site is very ancient, but was perfected and developed to a high degree by the Incas. Today, in our own pace, we ascend for 3.5 hours trough a lush valley leading Sillque river towards the village of Camincancha, full of exquisite and abundant Andean flora and hummingbirds with an amazing view of Nevado Veronica. Along the way, we will see the confluence of three rivers and we are going to stop and enjoy a delicious lunch. In the afternoon, we continue ascending for 1.5 more hours until we reach the arid highlands of Ancascocha, where we are going to camp under the starts ! Today is a spectacular day. From the small community of Ancascocha, we continue ascending for 1 hour by the Andean highlands until we reach the beautiful Lake Ancascocha. This is an area of ​​condors and hopefully we can see some flying. We stop here for lunch, enjoying the view of the lake, the snowy mountains that surround it among other beautiful natural scenery. After this stunning view, we do our last uphill section of the entire trek, 1 more hour and then descend for 45 minutes until the Inca site of Inca Rakay to reach our camp, where a rest and a delicious happy hour will be waiting for us. At this point we will embark on a long descent into greener vegetation. During this stretch of the trek we will have views of the classic Inca trail to Machu Picchu appear in the distance. After 2 hours hiking, we will reach the small and traditional community of Qesqua, where we are going to have lunch. We continue for 2 hours to the quaint Muyu Muyu community and finally, 2 more hours descending to our campsite next to the beautiful Inca remains of Paucarcancha. This camp is a unique Inca settlement recently restored that served as a “Tambo.” A Tambo was an Incan structure that was built for administrative and military purposes. This morning we will hike downhill for 4.5 hours until we reach Km 82, which is the start of the classic Inca trail. Along the way we will be able to see the Inca site of Llactapata. This is the first site on the classic Inca Trail. Our chef will make us a delicious lunch. Transfer to airport for your flight back home, or begin your trip extension. Call for ideas and details on an extension to the Amazon, Lake Titicaca or many other possibilities in Peru! *The hotels listed depend on availability. If we choose a different hotel, it will be of equal type and quality. They say that the valley, the mountains, the farming terraces and the river were all home to the most important of the Inca heritage, with their magic and mysticism. The valley guards this magical sensation which helps you to relax, sharing its magnificent greenery against a shining sky. With these pleasures in mind, Urubamba Boutique Lodge has reserved a place on our riverside terrace for you so you may enjoy the Sacred Valley of the Incas. Each of our rooms has a balcony, many overlooking the river, and our dining room offers a panoramic view of the lush surroundings. 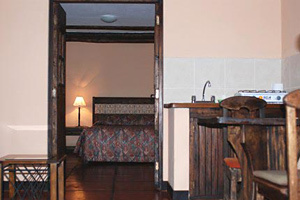 Urubamba Boutique Lodge has 20 rooms, including 2 Suites. All of our rooms have been designed and decorated to make you feel at home while still offering a link to Peruvian culture and Inca history. With views of the river, mountains or our surrounding gardens, it´s impossible not to relax and enjoy yourself! – Personal balconies for rooms on the second floor. Gather your group of 6 or more together and head to Peru with dates that work for your schedule! This alternate to the longer trek allows you to travel the last 13 miles of the legendary Inca Trail, culminating as you pass through the Sun Gate and into the citadel of Machu Picchu. An ideal trip for those who don’t enjoy camping under the stars, you will stay one night in the town of Aguas Calientes. Lake Tahoe’s alpine waters are the home base of Bio Bio Expeditions, and in this multi-sport adventure, you get the inside scoop on where to pedal the most mind-blowing mountain bike trails, paddle to hidden, white sand beaches, and hike the majestic peaks that surround this natural wonder.